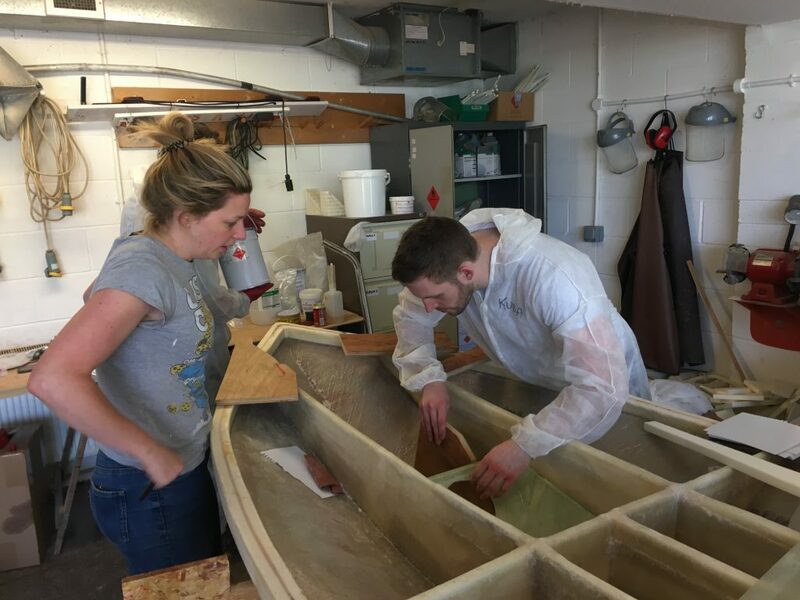 Yesterday we were fortunate enough to have some of Dr. Tom Coe’s work colleagues from Frazer Nash come and sprinkle their expertise on our current boat building project. They complimented the work already done by the students at Atlantic College and used their amazing skills to enhance the development of our Hahn Class boat. We would like to say thank you for your support and please come again, next time it will be sea trialing.